A case against Daati Maharaj was lodged on Sunday a few days after the woman filed her complaint, senior officer Romil Baaniya told news agency IANS. 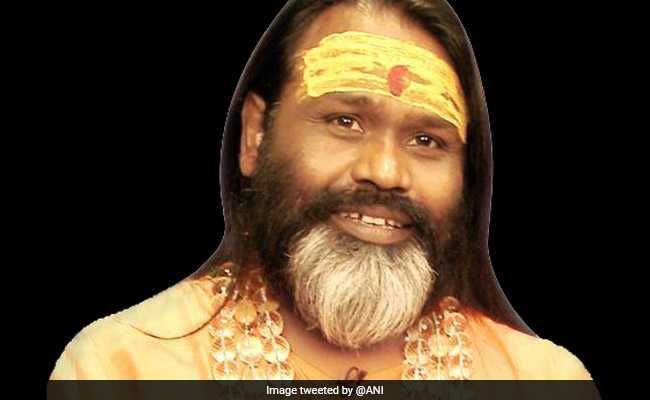 New Delhi: Self-styled Hindu godman Daati Maharaj, along with his associates, allegedly raped one of his disciples in his ashram in South Delhi's Mehrauli two years ago, police said today. A case has been filed against the self-styled godman after the disciple lodged the complaint, police said. A case against Daati Maharaj was lodged on Sunday a few days after the woman filed her complaint, senior officer Romil Baaniya told news agency IANS. "The accused shall be questioned in connection with the case soon and further investigation will proceed accordingly," he said. The Delhi Commission for Women has sought protection for the woman. DCW chief Swati Maliwal has requested the police to provide "immediate protection" to the disciple, stating that there may be a threat to her as well as her family. "The atrocities revealed in the complaint are really horrid and need to be investigated urgently," she said. "In this regard, an FIR has been registered but the survivor has not been provided a copy of the FIR and medical report despite her requesting the same. She has further stated that there is a threat to her as well as her family's lives, especially in travelling to and from the police station," Ms Maliwal said. Daati Maharaj is the founder of the Delhi based Shree Shanidham Trust.